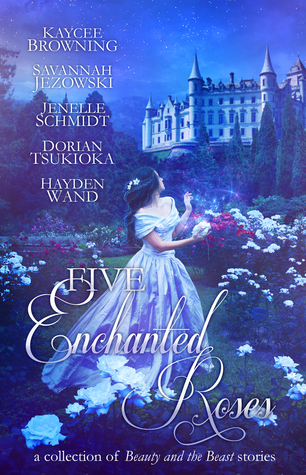 Five Enchanted Roses, the collection of five novella-length retellings of the beloved fairytale Beauty and the Beast from Rooglewood Press, releases today! 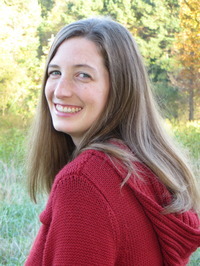 Today I’m reviewing the third story in the anthology, Stone Curse by Jenelle Schmidt. I received a complimentary copy of this book from the publisher in return for my honest review. It was not required to be positive, and these opinions are entirely my own. As a retelling of Beauty and the Beast, STONE CURSE surprised me with its originality while still clinging to the familiar threads. The reader is plunged directly into several intertwined mysteries that it’s wonderful to try to unravel. I predicted just enough of the answers of the mysteries to feel excited and elated whenever I was right, but there were more than enough surprises and twists to keep me on my toes, which I loved! The writing was excellent and flowed beautifully in an effortless fairytale-ish way, and I loved the “feel” of the story and the world. It’s exactly the sort of feel that I like best in the fantasy tales I read! I can’t really describe it but it’s gorgeous and makes me feel at home, while still keeping me on the edge of my seat about what will happen next, because even (or especially) the most lovely of fantasy worlds contain a measure of uncertainty and danger! Something about the feel reminded me of a couple other favorite authors of mine, especially Patricia C. Wrede. This makes me happy and I’m looking forward to reading more by Jenelle Schmidt. I’ve decided I enjoy novellas. I was able to read this in a sitting but it felt more fulfilling than a short story, and yet it was close enough to a novel’s depth, without the extra fluff, that it was extremely enjoyable. All of the characters were awesome and felt so very real. Characters are important to me and these definitely rank up with my favorites! I actually loved the heroine! This may not sound odd to most people. But I’m notorious for disliking most female main characters, and even if I tolerate a heroine, it’s extremely rare that I like her as much as I liked Karyna! She was so extremely sturdy and nice and determined and helpful and useful! It was marvelous how she always had that satchel of hers that she would pull things out of and fix someone up or do a bit of gardening or pruning. She’s also so full of hope and won’t give up, which I loved. I just adored Karyna. Our Beast, Prince Barend, was fabulous! His story was unique and I so enjoyed reading about him! Like the best Beast characters, sure he had some problems but ultimately you love him. I loved his loyalty and protectiveness, bit of stubbornness, and his willingness to go so far for the one he cares about. Just… yes. Barend! He’s so awesome. And he’s a little uncertain and gruff and awkward but also determined, and was wonderful. I especially liked getting to see his thoughts from time to time, as well as Ritter’s. Much as I loved the other characters, I think I might have liked Ritter even better! He’s my favorite. His endearing charm, quick tongue, humor and bravery. I just loved Ritter! Considering how much I loved both Karyna (unexpectedly) and Barend (of course), it’s incredible that another character could surpass them and become my favorite, but Ritter definitely earned that place. I was super intrigued by him from the moment he entered the tale, and simply loved how he factored into the story. As soon as I figured out what was up with him I may or may not have actually made a squealing noise. I was also addicted to quoting his lines aloud. Ha! Quotable characters are the best, but he was also such a great all-around guy and one of my very favorites! I’m always a big fan of humor and great dialog, and I loved the characters’ journeying and interactions and banter! One of my favorite parts involved reminiscing about the mischief young royals got into as children. That was HILARIOUS. They’re a really great cast of characters! I just love them all so much and they feel like my friends. I’m looking forward to reading this again to be with them once more and re-experience this wonderful story and its beautiful and shadowy world. I do wish Princess Bellenya had been gone into more. Her part of the story wasn’t as developed as I’d have liked, especially considering how it all ended up (which I really liked! I just… wanted more). I was okay with it, I just wish she’d been more delved into so I could understand her more or something? That being said, it’s basically the only thing I have a complaint about in this otherwise fabulous tale! The ending felt a tiny bit hurriedly wrapped up, but I didn’t mind because it was still awesome. The final scene was absolutely perfect and made me cry. (I’m not much of a book-crier, but this was wonderful!) At the end, when I finished reading and sat back with a little sigh of happiness and wiped my eyes, with a smile on my lips that I couldn’t seem to get rid of even if I’d wanted to, I would have hugged the book if it had been a physical copy. As it was, I settled for hugging my laptop which contained it. Overall, I positively loved STONE CURSE and it left me with a happy, smiling, in-the-clouds feeling of contentment. I don’t know what else I can ask of a fairytale! It had a little bit of everything. 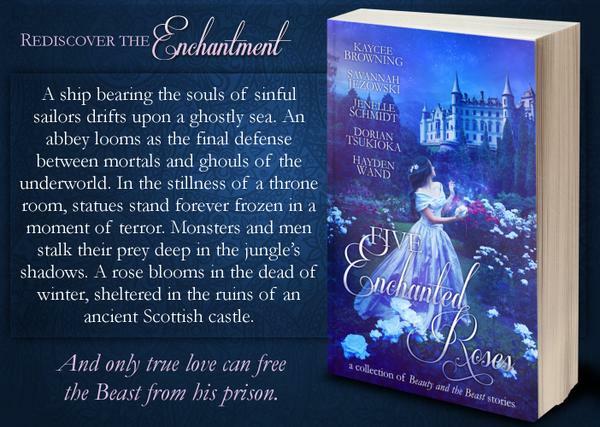 I look forward to reading the other four novellas in this collection, but I can tell you that FIVE ENCHANTED ROSES is well worth picking up if only for this delightful story. Years ago a terrible curse swept over the revelers at Thorndale Castle, turning them to stone and transforming Prince Barend himself into a hideous beast. But Karyna, a former lady-in-waiting, will not abandon either her father, who stands in the throne room among the other statues, or the prince. Indeed, she sets out alone on a dangerous quest to find the one responsible for this dreadful spell. If she can but discover the reason why the stone curse was cast, perhaps she can also discover the solution. As most other authors, Jenelle is a bit shy and timid, though her friends would disagree with that statement. Her favorite genres to read and write are fantasy, sci-fi, and fairy tales. I want to read the whole collection. I love B&B retellings. Yesss! 😀 I hope you’ll like ’em if you do! I can’t wait to read the rest, myself. ^_^ RETELLINGS ARE THE BEST. I AM SO RIDICULOUSLY EXCITED THAT THE COLLECTION IS FINALLY HERE!!! I have been soooo looking forward to reading all of these. I mean, B&B stories! I wants them allll. Your beautiful review is only whetting my appetite even MORE. This sounds absolutely fantastic. That delightful sounding cast of characters, a fairytale feel that reminds you of Patricia C. Wrede, mysteries–YES PLEASE. I also have this strange fascination with the idea of everyone being turned to stone. I don’t know why, but it just sounds amazing! I’ve GOT to get my hands on this collection, and soon! I’m just about to burst with anticipation. AHHH, CELTI, YOU MAKE ME WANT IT MOOORE. I absolutely must get a copy. And I know it’s been said before, but your reviews elegantly tread the perfect line between saying too much and too little. I mean, you say enough to whet our appetites, but not so much that anything’s spoiled. ❤ Wonderfulness! This is a great review 🙂 It made me want to read the book, for sure. I love B & B retellings and never get tired of them. And novellas are kind of my new thing, because I want them to teach me their ways of writing fabulous stories in less-than-Dickens lengths. Thank you! 🙂 And I entirely agree, I don’t think I’ll ever get tired of B&B retellings! Oh my word, I know exactly what you mean — I wish I could write short fabulousness (short meaning under 100k words. XD).